A week after his shock resignation in Riyadh, is Lebanese Prime Minister Saad al-Hariri being prevented from returning home? Questions about his freedom of movement are multiplying, with calls for Saudi Arabia to clarify the situation coming from Lebanon’s President, Michel Aoun. Aoun has told foreign ambassadors that Hariri has been “kidnapped”, according to unconfirmed reports. 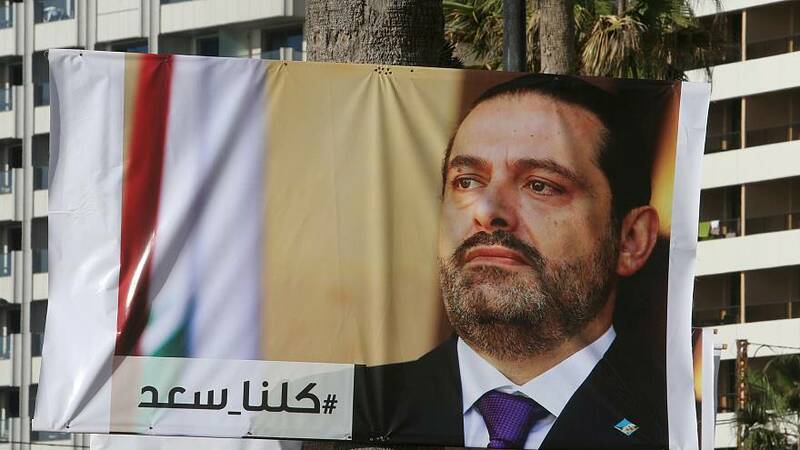 Hariri’s resignation unravelled a political deal among Lebanon’s rival factions that made him prime minister and Aoun, a Hezbollah ally, president last year. The coalition government included Shi’ite Hezbollah, a heavily armed military and political organisation. “Lebanon does not accept its prime minister being in a situation at odds with international treaties,” Aoun said in a statement. He said any comment or move by Hariri “does not reflect reality” due to the questions over his status following his resignation in a broadcast from Saudi Arabia. Sources close to Hariri say Saudi Arabia concluded he had to go because he was unwilling to confront Hezbollah, the Lebanese ally of Riyadh’s regional rival, Iran. Hezbollah leader Hassan Nasrallah said on Friday that Saudi Arabia had declared war on Lebanon and his group, accusing Riyadh of forcing Hariri to resign to destabilise Lebanon. Hariri’s resignation has thrust Lebanon back into the frontline of a power struggle between Sunni Saudi Arabia and Shi’ite Iran. He has made no public remarks since quitting last week, when he said he feared assassination and accused Iran and Hezbollah of sowing strife in the Arab world. US Secretary of State Rex Tillerson told reporters on Friday that there was no indication Hariri was being held against his will but that the United States was monitoring the situation. French President Emmanuel Macron echoed concerns, however, saying in a call with Aoun on Saturday that “Lebanese political leaders should enjoy freedom of movement”. Macron, who made an unscheduled visit to Riyadh earlier this week, will receive the Lebanese foreign minister in Paris on Tuesday, an Elysee statement said. Riyadh says Hariri is free and decided to step down because Hezbollah was calling the shots in his coalition government. His departure comes amid an anti-corruption purge in Saudi Arabia in which dozens of senior princes and businessmen have been rounded up.